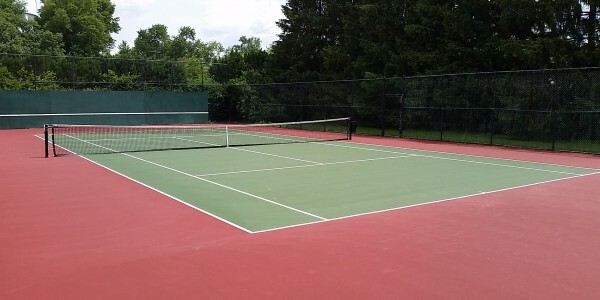 Are your courts in need of tennis court resurfacing and repair in Columbus and Central Ohio? 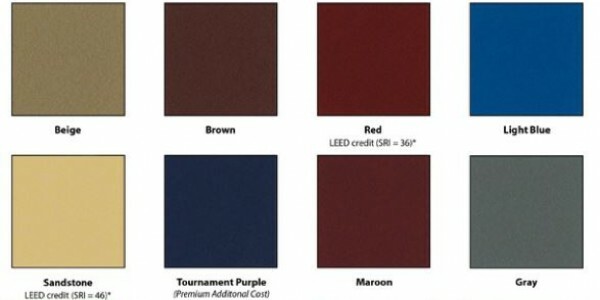 SportMaster Sport Surfaces are produced in the state of Ohio and we have experienced, factory-authorized contractor/installers in Columbus and central OH. Our Columbus-based professionals can perform the full project from construction and building your tennis courts to resurfacing or repairing cracks and low spots. Want an Ohio State Buckeye themed tennis, basketball, or sports court? We have Red and Gray, 100% acrylic surfaces that will make you the envy of your friends and family. Plus, our installers can apply custom logos to finish off the theme of your court surface. 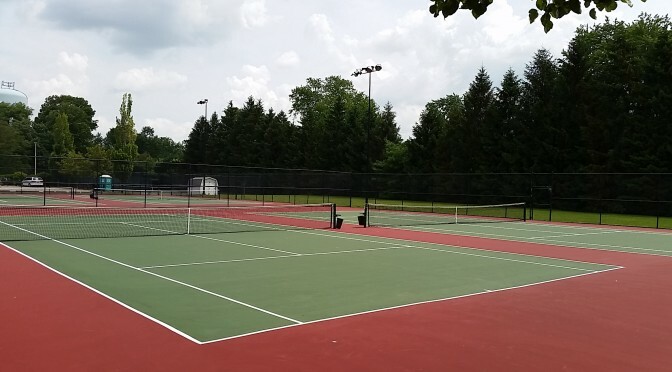 We received many emails and calls from people in Columbus and Central Ohio that have cracks in their tennis courts and are frustrated with the unsightly and sometimes unsafe condition of their courts. They ask “how do I fix the cracks on my tennis court?” or “how do I keep the cracks in my tennis court from coming back so quickly?”. There is not always an easy solution, but we can put you in touch with qualified tennis court crack repair experts that can recommend the best methods for our conditions here in Columbus and central Ohio. Our installers can make recommendations and provide quotes on optional, patented crack repair membrane systems that can conceal the cracks and greatly extend the useful life of your tennis courts. After performing the best methods of tennis court crack repair, they can resurface your court with the color combination of your liking. If your tennis court is too far gone and there is not a good tennis court crack repair method that will work for your court, they can provide you with estimates on a variety of construction options. Once the court is built and surfaced, the tennis court resurfacing process is recommended every 5 to 8 years. Another common question we get is “How much does it cost to build a backyard basketball or sports court in Columbus or central ohio?” This question is really not possible to answer and provide an accurate amount. When it comes to basketball and multi sports courts, there are so many size options and that is one of the bigger factors in pricing out a backyard court. Also, every yard can be very different, and some require more sitework than others. Items like excavating, drainage, space requirements, are just some of the items an experienced sport construction contractor will need to address. Your best bet is to talk to a qualified installer and request a free estimate. Click on the “Contact Us” box on this page and we will send you the contact information for a Columbus or central Ohio based tennis court contractor. They will likely ask you a series of questions and set up a site visit to get more detailed information on your needs, wants, and space requirements. They can provide free quotes on many other items like fencing, lighting, resurfacing, and court accessories like tennis court posts, nets, to basketball goals. Don’t worry, we won’t sell your information or pile up your email inbox with junk mail. We just want to help you get the information you need to take care of your existing tennis or basketball court repairs, or get accurate budget information for a new backyard sports court.